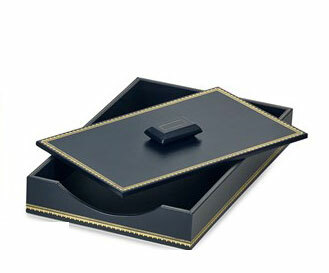 Keep your office documents safe and organized with this classic letter tray! 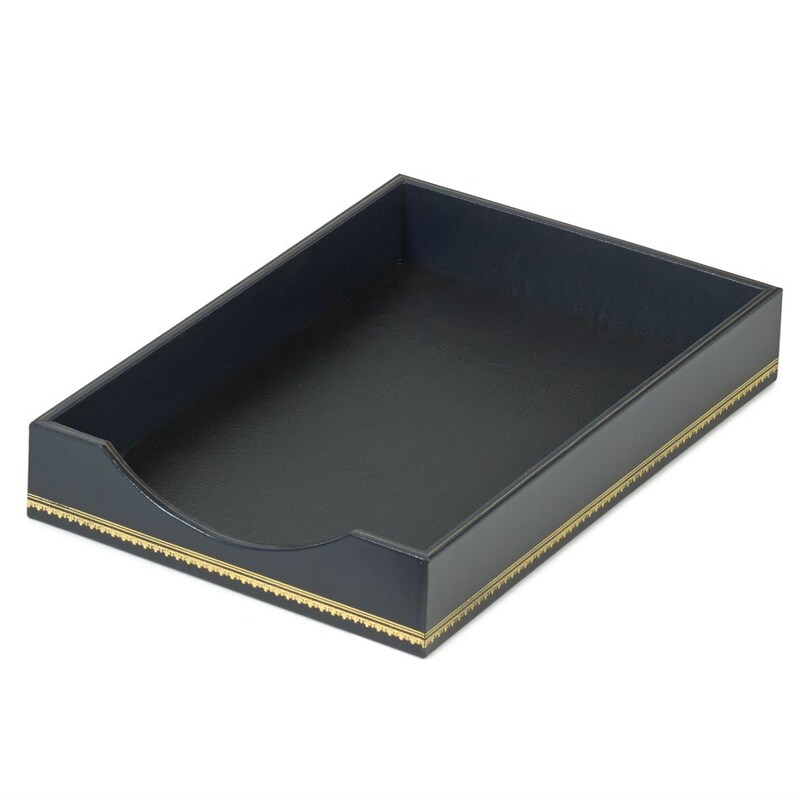 This Navy Blue Leather 24kt Gold-Tooled leather tray or memo holder gives you an easy way to organize loose paper on your desk. No more stacks and piles! Crafted with a genuine leather, these memo holders are stylish, durable, and classic. The felt interior lining and backing makes sure your desktop won't be scratched. Control your clutter and make a workplace style statement with this memo holder! ► The felt interior lining and backing makes sure your desktop won't be scratched. ► Measures 10" x 15 ½" h.
► Available with cover and without cover. We can imprint your name, initials or a company logo on this card case for that extra special touch of distinction! Email us your details. Available in black, chocolate brown, and burgundy colors.